I was in desperate need of a high quality fry pan and was not quite sure exactly which one to go with. And it took me a bit to settle on the Scanpan CTX. 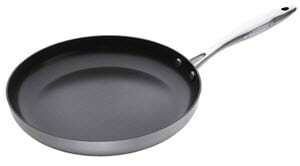 After all, there are tons of different kinds of frying pans on the market, each claiming to be the best. So it can get pretty confusing. And I can honestly say that I have tried out many, many other fry pans in the past and the vast majority of them were not able to deliver the results that were promised by the company that manufactured them. I run a small catering business so I need a fry pan that is going to be able to deliver on time every time, regardless of the price. 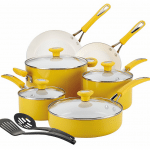 I have tried to save money by purchasing the “affordable” pans from different department stores and have been greatly disappointed. 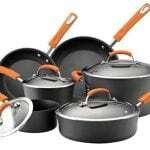 I then tried to change things up a bit and try something different by going with the really expensive fry pans that are $200 and $300 at the cheaper side of the spectrum. However, I still was not able to find the fry pan that could meet my needs in a timely fashion and impress me with its overall design, structure and efficiency. That is, of course, until I made the decision to buy the Scanpan CTX fry pan. When it comes to my frying pan, size has ALWAYS mattered to me because it has to be big enough to fit my food portion size on one shot so that I do not have to worry about splitting up my servings just to be able to cook it all. However, the perfect fry pan also has to be small enough to fit on most stovetops safely and securely without taking up the space that the other burners will also need in order to be useful to me. That is why I decided to go with the 11” size, but this particular model also comes in four other sizes as well – 8, 9 ½, 10 ¼ and 12 ¾. 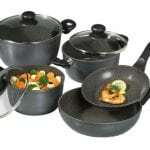 Therefore, instead of trying to search high and low for a different fry pan that meets your size requirements, you can still benefit from the amazing quality and efficiency of this ceramic-titanium pan, just in a different size. I have purchased Scanpan products before in the past, but I was truly blown away by the Scanpan CTX 11” primarily because of its stylish design and features. As I mentioned earlier, I am a professional cook so having high quality pots and pans is an essential requirement that makes my average workday go by so much easier! The Scanpan CTX 11” fry pan is 5-layer cast aluminum and has a polished 18/10 stainless steel exterior, so you can be sure that this pan is built to outlast many of the other pots and pans that you may have in your home kitchen right now. This is literally something that you can pass down to your children. Serious value here. of course plastic spatulas never hold up well, and their edges get messed up making it about impossible to use for things like eggs over easy. But with this pan’s PFOA-free nonstick surface I don’t have to worry about that, because it allowed me to do whatever I needed to with metal utensils without having to worry about damaging the pan itself. 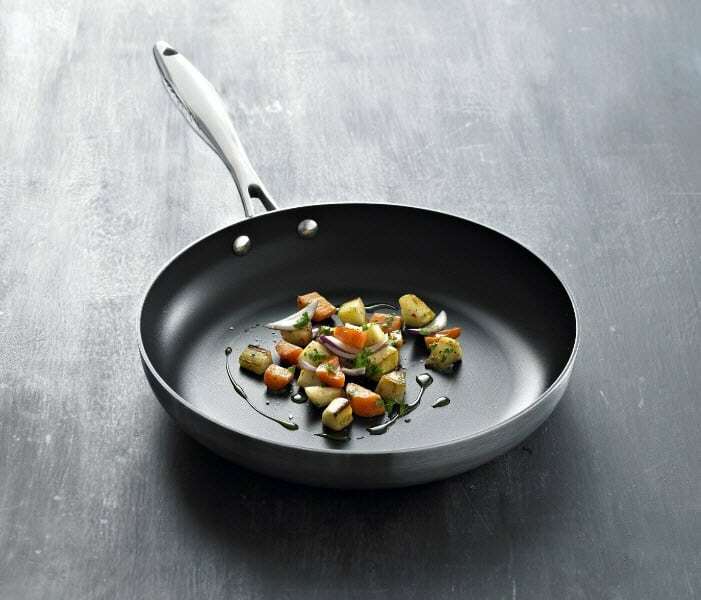 Well, this particular frying pan is built with a ceramic titanium surface that has a coated material that protects the surface and prevents scratches and other damage that can be caused by metal utensils. 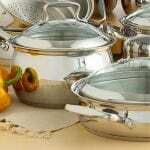 In fact the company claims the pan will not warp, peel, blister or crack. And for once, I completely agree. This thing has been perfect so far. Another thing to point out is that the handle is a riveted stainless steel handle, not the cheap screws that always seem to loosen up. It’s solid. One of the best benefits of the fry pan is the fact that it provides you with a sense of flexibility that you need for high quality cooking. 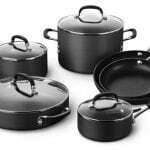 It can deglaze, brown and sear whichever type of dish you are using it to make and has a heat distribution that is both quick and even so you can get it right on the first time around without worrying about your food not being properly cooked. It’s also oven safe up to 500 degrees. This is great for dishes that need to be finished off in an oven or broiler. 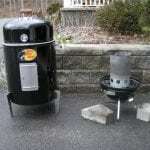 For example, I’ll heat up some chili for nachos, then add some shredded cheese to the top, place it in the broiler for a minute or two until the cheese just starts browning on the top, place nachos on a plate, then simply slide the chili and cheese right on top of the nachos and add the fixings. And it does just slide right out of the pan. You can even cook eggs with no oil or butter and they come ut perfect every time. really great stuff if you’re looking to cut out fat in your diets. Yes, there are other fry pans on the market that you may feel comfortable with and may decide to choose over this one. However, you need to realize that you are not going to find the levels of high quality and efficiency that I have been able to enjoy with the Scanpan CTX 11” fry pan anywhere else. 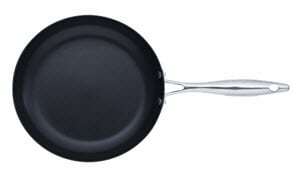 I love this pan, and I know you will too. Go here to grab your own now!